The return of Phaedra Parks to ‘The Real Housewives of Atlanta‘ continues to rev up steam as the Southern Belle herself has teased fans over the weekend. 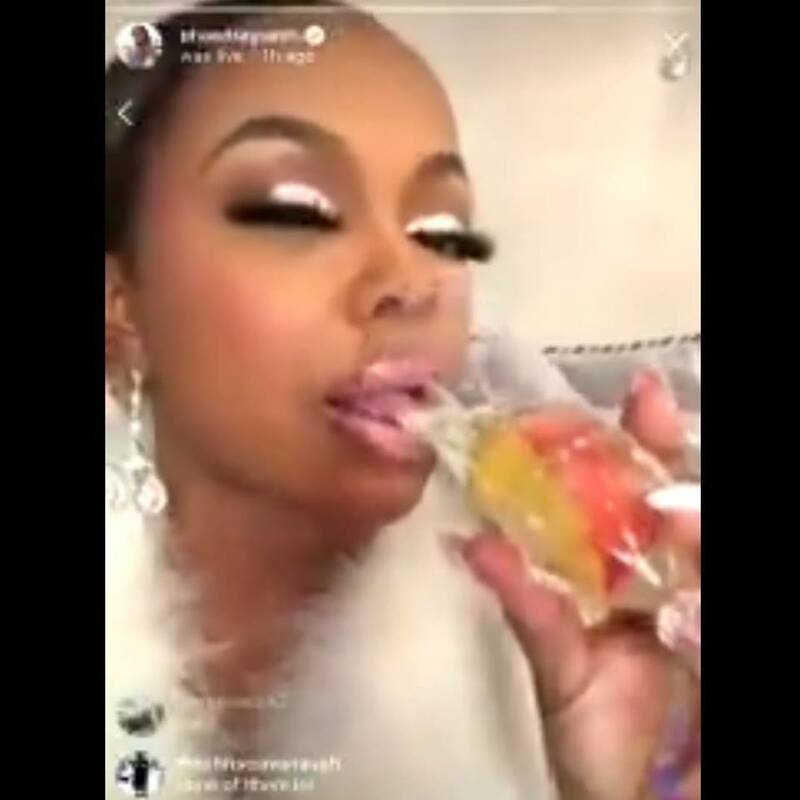 On Friday night, Phaedra did a live stream from her home, and during the stream she showed fans a “peach bellini” drink, and fans instantly went wild assuming this was her way of confirming her peach has been restored for season 11. Get into the interesting tease below. Oh boy! coincidence or not? stay tuned!